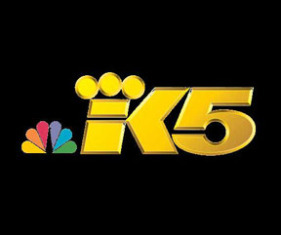 KING 5, a broadcast media company and NBC affiliate based in Seattle, WA, is one of the strongest and most trusted brands in the Pacific Northwest. Rooted in local history, KING delivers the largest local news audience, the most local programming, and is considered one of the strongest television stations in the country. It all began November 25, 1948, when then Channel 5 aired a historic high school football game, becoming the first television station in the Pacific Northwest. Eight months later, Dorothy Bullitt, a local business woman, bought the station and began its tradition of quality local programming. As a broadcast pioneer and visionary, Mrs. Bullitt decided to match the sister FM Classical Radio Station by changing the Channel 5 call letters to KING. As television quickly grew, KING emerged as a station with a reputation of excellence, setting the standard for stations across the county. KING was the first station in the Northwest to telecast color on July 1, 1954, and aired the first live, two-continent, three-nation debate via Early Bird Satellite. KING 5 also aired an ambitious analysis and discussion of the Northwest’s energy resources and management called The Electrical Storm. This earned the station an Alfred I. DuPont-Columbia Award, one of broadcastings highest honors. KING 5’s journalistic excellence has never wavered. In recent years, KING 5 again won the DuPont-Columbia Award for excellence in Broadcast Journalism for the “Waste on the Water” an investigation into Washington State Ferry system in 2011. In 2014, the George Foster Peabody Award was awarded to KING 5 for its investigation of “Hanford’s Dirty Secrets.” In addition to local news, programs such as New Day Northwest hosted by Margaret Larson and Evening Magazine help KING 5 share local information about people, places, and events that make the Northwest special. Our deep roots in the region inspire meaningful contributions to the community we live and work in. KING 5’s community partners are non-profit organizations doing incredible work in medical research, social services, education, disease prevention, civic engagement and more. With a combined 30 million monthly page views of our online and digital platforms, KING 5 has a clear vision for leading the broadcast local news industry into the future.